ok… they’re back and the nyjer feeder is mobbed once again! Although American Goldfinches may not be sporting their electric yellow plumage just yet, it’s only a matter of time. All of a sudden, they’re back… and in droves! I’m not exactly sure where the masses went, because we had tons of them last summer. However, it was great seeing the nyjer feeder so crowded yesterday. Their influx started last week some time, and it was out of nowhere? I had to call my friend (Diane) whose husband recently got into the backyard birding thing. He just wasn’t seeing any birds, and didn’t believe me when I told him there are tons of birds around right now. While I was at their house recently, I glanced over the landscaping as if I were a bird myself. Lots of mature trees and shrubs around, a killer rock water feature, and then I noticed the feeders. Now if I were a bird this place would not be my choice restaurant! 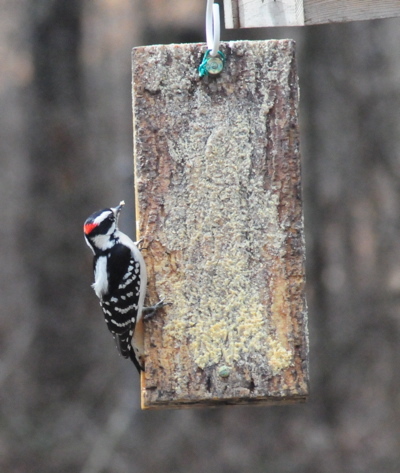 The suet was covered in greenish-black mold, and the nyjer feeder…. well, let’s just say it looked like some kind of science experiment growing funky bacteria! I phoned her yesterday to let her know the finches were back in town and they must have a squeaky clean feeder with fresh nyjer seed or the Goldfinches wouldn’t visit. Mission accomplished… Diane got right to work cleaning the nasty feeder, and I know because she called me back to ask about taking it apart. Dumb stuff like that makes me happy. 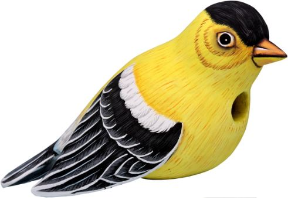 Now, if you really want to see that electric yellow plumage before the Goldfinches actually molt in spring, (a process that sheds old, tattered feathers and replaces them with pretty new ones) then check out this cool Goldfinch birdhouse, he never requires a nyjer feeder! He’s hand carved and painted, complete with clean-out, and provides a real nesting site for Chickadees, Nuthatches, House Finches and other smaller songbirds. Oh yeah, I almost forgot, the nyjer feeder shown above is a stainless steel model by BirdsChoice. 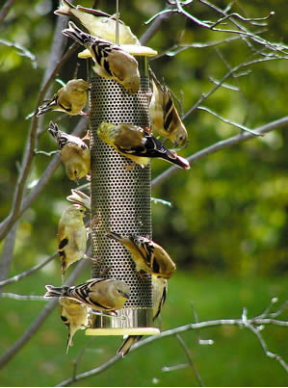 Although it only holds one quart of thistle seed, it accommodates lots of finches with its “all-over feeding” design. No waiting for open perches… just claim a spot anywhere on the feeder! Feb. 17-20, 2012. Submit your list for US and Canadian locations. Great birding prizes given away too! Around the third week in February, backyard birding fanatics from novice to seasoned professional, and young to old, will join forces with Audubon and Cornell Lab’s Great Backyard Bird Count. You can participate in this critical citizen science project in just five easy steps (from Zach Slavin in Cornell’s Education & Nature Centers program. Their most helpful hint: “you can even participate in your pajamas“. Check out Cornell Lab’s Instructional Video (at the end of page) or the easy list below. 1. Make a plan: You’ll need to count birds for a minimum of 15 minutes on one of the count days, but you can count all four days, and you can count for as long as you want. More counting = more data to show us where the birds are. 2. Know your place: Decide whether your count is a STATIONARY COUNT, like watching a feeder out the window, or a TRAVELING COUNT, such as birding during a hike. Print out a data form so that you’ll know what information to record, and a regional bird checklist to help with identification. 3. Count: Record the highest number of each species seen together at one time in stationary counts. For traveling counts, record the total number of individual birds of each species you see during the walk. For more info, visit http://www.birdsource.org/gbbc/howto.html. 4. Report: Enter your findings through the website by clicking on “Enter Your Checklists!” and following instructions. 5. Spread the word: Tell others about your experience. Find out how to be a GBBC ambassador by clicking “Get Involved” on the website. Also, join the GBBC Facebook group, and tweet about the count (use #GBBC when tweeting). Ready to start? Go to www.birdsource.org/gbbc/ for everything you need. So you’d like to see feathered friends close up, but those darn squirrels always seem to find your window bird feeders! It’s an easy enough target, shimmy right on up that wall and the feast is right there for the taking. And the problem is that once they zoom in on the prize – forget it! Your seed’s a goner no matter how much is put out for the birds. Enter this nifty little accessory, the cage by BirdsChoice. The powder coat metal grid will keep larger and bully birds out, while also denying squirrels access to the seed. 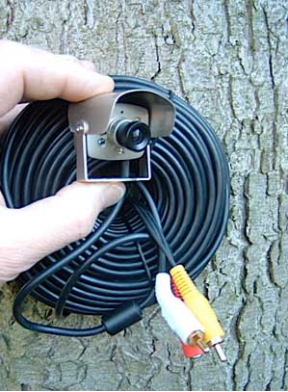 Get your chickadees, titmice, buntings, finches nuthatches, and more… close-up and personal! Appearances might have it that the feeder seems too big or heavy to be stuck on the window-nonsense! Because of an innovative bracing system, and super strong suction cups, these window bird feeders are the bomb! The base is done in recycled plastic, which means it will never warp, split, crack, or fade. The non-porous surface not only makes cleaning a snap, but it helps prevent the spread of disease, as harmful bacteria can not penetrate its surface. Filling this window bird feeder? Simple! Just lift the lid on the acrylic cover to fill with your favorite seed mix. These new window bird feeders come in two sizes, with the larger tray measuring a whopping 22 inches by 9 inches, that’s some major real estate at the window! 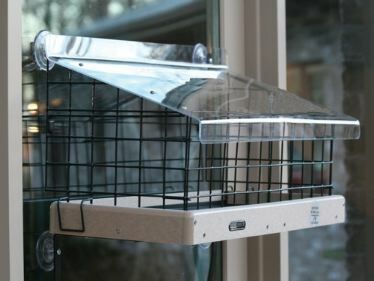 The smaller tray (still a generous size for a window feeder) measures 11 x 10 inches. 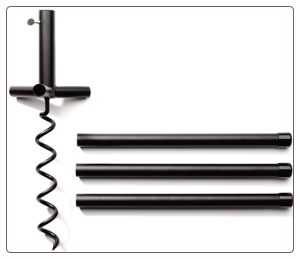 The cages and acrylic covers are relevant and proportional to each size feeder. 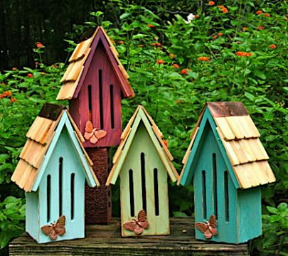 No “one size fits all” with these high quality window bird feeders, they’re perfect for small yards or no yards at all. 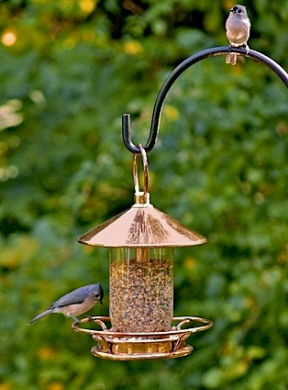 Take one classic bird feeder, craft it in solid copper, and add a circular perch… viola! You get the “Classic Copper Perch”. Yesterday a customer had inquired if the tube was glass, and to be honest, I had to open the box and inspect the feeder for the correct answer. It was not a glass bird feeder in fact, but a very thick poly-carbonate, or resin tube. Now these feeders are considered higher end, and the person seemed a bit disappointed that it was “plastic”. And me too… until I started thinking about it. Gone are the days of cheap plastics which yellow over time (except on cheap feeders). Very few feeders and houses use real glass, for a myriad of reasons: First and foremost is breakage. Be it pesky squirrels, or even a butter fingers accident, should a glass bird feeder fall on concrete – it’s likely a gonner 🙁 Second: on birdhouses, glass would create an oven-like atmosphere during the heat of summer, making it too hot inside for nestlings. We feature an artist who does a wonderful fused glass birdhouse in vibrant colors, but the glass is actually fused to a real wooden nest box with proper ventilation. 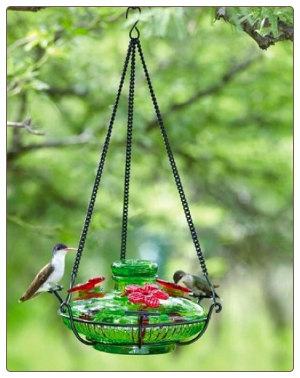 Glass bird feeders like those crafted by Parasol are mostly for hummingbirds, and the hand-blown glass seems thicker and stronger than manufactured clear glass. Same for ceramics and stoneware, it seems more durable and stronger than mass-manufactured glass. Whatever the material of your bird feeders may be, keeping them clean is important to birds’ health. And always take precaution against Houdini squirrels… they’re brutal! THE NEW SOLUTION FOR “KITTEN SEASON”: THE BIG MEOW! Very Cool… Wish More Cities Offered This! (LOS ANGELES, CA) January 5, 2012 – SEAACA (Southeast Area Animal Control Authority;www.SEAACA.org) and Pet-Connections, Inc. (www.Pet-Connections.org) are helping cat owners who live in the 14 cities served by SEAACA with the BIG MEOW, a program to provide no-cost spay and neuter services for owned free-roaming cats. The kitten birthing season, which occurs from spring through fall, can overwhelm animal shelters and pet owners. Thousands of homeless kittens born during this protracted season can pose significant community and health concerns. The birthing period occurs during warmer weather months because that is when female cats breed. With preventive measures, such as the BIG MEOW, pet owners can help control the number of unwanted kittens and cats. Now is a great time to participate in this important program before your pet becomes pregnant. An un-spayed female cat, her mate and all of their offspring, producing two litters per year can result in thousands of cats. The year’s BIG MEOW program features a variety of services for owned free-roaming cats at absolutely no cost to cat owners. Services include spay or neuter, microchip ID (so cats have permanent ID in addition to a collar), vaccines (FVRCP and rabies), one month application of flea and tick control and basic health care at the time of surgery. To make an appointment and participate in this no-cost program-call the appointment line at 562-803-3301 ext. 251. For more information about the BIG MEOW or SEAACA, please visit www.seaaca.org..
SEAACA (Southeast Area Animal Control Authority) provides animal care and control services for 14 cities in southeast Los Angeles County and northern Orange County, including Bell Gardens, Bellflower, Buena Park, Downey, Lakewood, La Palma, Montebello, Norwalk, Paramount, Pico Rivera, Santa Fe Springs, South El Monte, South Gate and Vernon. SEAACA’s Animal Care Center located in Downey reunites pet owners with lost pets and assists new pet owners with pet adoptions. SEAACA’s Animal Wellness Clinic, also located in Downey, spays and neuters all adoption animals plus provides vaccinations and micro chipping to the general public. Pet Connections Inc. is a national organization dedicated to developing coalitions between companion animals, individuals and the community to foster humane treatments of pets with mutual benefits to all concerned. The mission of Pet Connections, Inc. is to bring pets, people and communities together to end animal homelessness through our programs, which include The Pet Transport Program, The Big Meow, The Rescue Registry and Pet Corps Communities.